People needing dental care commonly avoid the dental office. This is often due to fear, inadequate finances, and numerous other reasons. As time goes on, this enables manageable issues to worsen exponentially. When small problems persist for long periods of time, dental extraction is necessary. 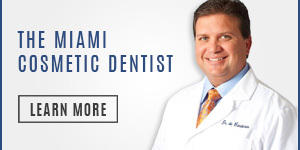 Miami’s Dr. Andres de Cardenas and his team of caring, concerned professionals want you to know that when you enter their office, they view you as a part of the family. It doesn’t matter if you need a simple extraction or a complex dental surgery for a broken tooth. 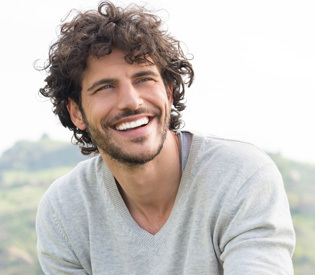 Nevertheless, Dr. Andres de Cardenas wants everyone in his dental family to possess their natural, healthy, full mouth of teeth for as long as possible. However, some teeth may display too much damage or decay. In this circumstance, the mouth is often beyond saving, and Dr. de Cardenas will recommend a tooth extraction. Dentists use the term extraction to refer to removing a root tooth, or multiple teeth by surgery. An oral or maxillofacial surgeon like Dr. Andres de Cardenas performs this surgery. Extracting a broken tooth is a straightforward procedure. However, some patients require a full mouth extraction to remedy multiple teeth issues. Depending on your individual case, as well as the number of broken teeth that you need removed, a specialist may utilize a local anesthetic. In more serious cases, they may also employ IV sedation. Once they remove a tooth, any postoperative bleeding or discomfort is managed. The body forms a blood clot naturally in the former tooth resided. This is all a part of the natural healing process. When the dentist removes the clot, the patient is left with a dry socket. This recovery period is ordinarily brief, ranging from a day or two up to a few weeks. Patients can manage pain using mild medication as well as an ice pack. A dental specialist will normally remove a tooth due to disease, trauma, or crowding of remaining teeth. They additionally perform extractions for issues like wisdom teeth impaction. This places additional pressure along the jawline and can result in unfortunate issues down the road. For the first few days, a patient must rinse their mouth gently, when necessary. If they experience any swelling, we recommend applying a cold pack and calling Dr. de Cardenas right away. Otherwise, the patient can brush and floss their teeth as usual. However, it is important to avoid cleaning the teeth next to where the extraction took place. As always, if you experience any problems, or possess any concerns, Dr. de Cardenas and his staff make themselves readily available to assist you. A Simple Tooth Removal: During a simple tooth extraction, the dentist loosens the visible tooth with an elevator. The specialist removes the tooth with forceps. They employ an elevator to break the periodontal ligament. As a result, this loosens the tooth, allowing extraction from the socket. A Surgical Tooth Removal: During a surgical extraction, the dentist makes an incision into your gum by the oral surgeon. Patients need this more complex procedure when a tooth breaks at the gum line or is not protruding through the gum. During a tooth extraction, you should expect some pressure, however, you should feel no pain. For a simple tooth removal, a dentist will apply a local anesthetic. For surgical removal, the local anesthetic is combined with anesthesia either gas or through IV sedation in a vein. When Can’t a Tooth be Saved? A dental specialist cannot save a tooth that is removed due to trauma, disease, or crowding. This concerns primarily broken teeth, and not wisdom teeth or extractions for other reasons. When they cannot repair a tooth with a filling, crown or other dental augmentation, perhaps due to an accident or extensive decay, a full extraction is the only recourse. In many cases, patients additionally might require a treatment like an immediate denture. This recommendation is a result of teeth’s lack of supporting bone in the jaw as well as abscessed teeth. A patient suffering from these afflictions is an ideal candidate for dental extraction. During the period after a full extraction, the care for the remaining teeth is crucial. It is vital to keep the area where the tooth was removed both clean as well as sterile. This prevents infection in the removed tooth socket. In the 24 hours after a dental extraction, do not use tobacco products, or consume any sugary beverages. Thoroughly rinse and clean the teeth and your mouth, drink a lot of water, and rinse the area near the extraction location. Do you possess a severely damaged or decaying tooth? Are there several broken teeth that prevent your mouth from functioning properly? Miami’s Dr. Andres de Cardenas invites patients from all over the state of Florida to schedule an appointment with his dental office. 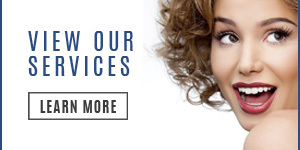 During your initial consultation, Dr. de Cardenas will discuss your situation and use the acquired information to formulate the best possible treatment for your needs. Dr. Andy, as he likes to be called, and his dental assistants enjoys educating patients on their situations, and helping cultivate optimal solutions. For more information on your dental care options, full mouth extraction, or any other dental treatment, contact our front desk today. Dr. de Cardenas can educate you on tooth extraction. 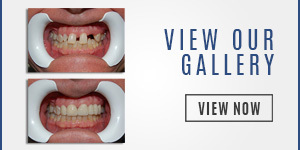 He will also help you move towards better dental health, better overall health, and a more attractive smile. Come in, talk to Dr. Andy, and experience the difference between being treated as a patient, and being a member of our family.